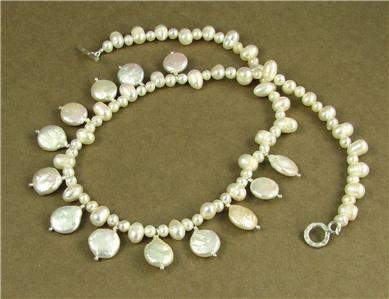 Home › Necklaces › Pearl necklace & earrings set. Fine and sterling silver. Designer handmade. 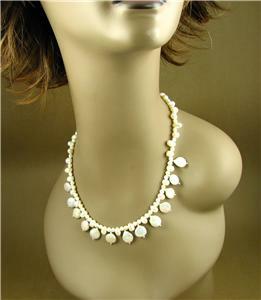 Pearl necklace & earrings set. 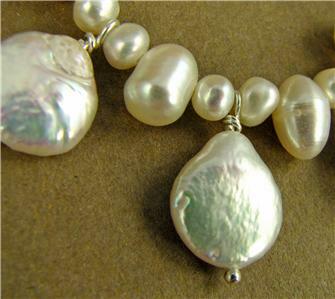 Fine and sterling silver. Designer handmade. 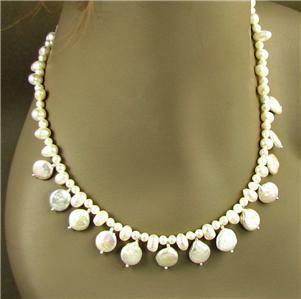 Pearl and silver necklace. 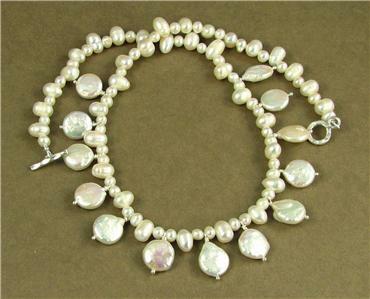 Fine and sterling silver. 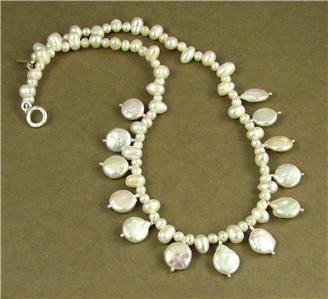 This is a beautiful pearl and silver necklace and earrings set, with lots of dangling pearls. 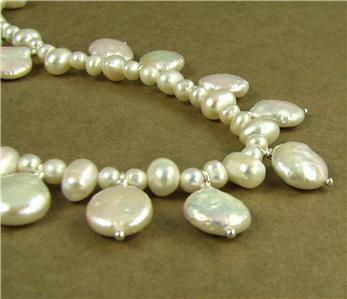 The pearls are undyed freshwater pearls. 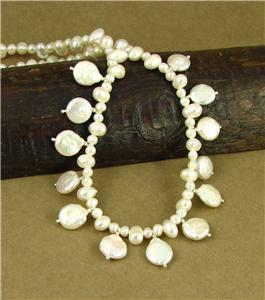 The clasp is extremely pure fine silver and all the wire used inside the dangling pearls is sterling silver. The wire and ear hooks in the earrings are also sterling silver.